Missouri State University-Springfield appears in our ranking of the Top 10 Cheapest Online Master’s in Information Assurance Degrees. There are many computer science programs offered at Missouri State University-Springfield, including undergraduate and graduate programs. Undergraduate programs include computer science (major and minor), informatics minor and a web programming certificate. The computer science option focuses more on technical aspects of creating software. It also incorporates a math minor, allowing students to learn habits of correctness and rigor. It takes eight semesters, or four years, to complete this option, which doesn’t include transfer credits from other universities or high schools. There is also a software development option at the undergraduate level, allowing students to focus on a multi-talented, multi-disciplinary and broader feature. It’s also completed in four years/eight semesters. The computer science minor offers two options, including a Bachelor of Science and Bachelor of Arts. Students can minor in computer science while majoring in something else, giving students more information and a better career outlook. Informatics is a program between computer science and biology programs. It includes a variety of elements, such as algorithms, applied mathematics, management, design, and processing, though students should also have a strong interest in biology. Those interested in a medical field career may do well to minor in Informatics, which is available as a Bachelor of Science. Web Programming is also available as a certificate program and requires 16 hours’ worth of work. It helps students gain the skills and knowledge for the web development field, which includes web security, programming, multimedia applications, and database design/development. Graduate programs (Master’s degree) are also available. Students can choose the accelerated or traditional option, depending on where they are in life and their level of comprehension. The MNAS (Master’s in Natural and Applied Science) includes an emphasis on Computer Science. Students can choose more than one area to focus on for a degree. Along with such, a Data Science graduate certificate is also available. It’s a 12-credit program that provides students with advanced knowledge in data science fields, which includes data mining, data analysis, statistical modeling, data visualization, and feature engineering. Students must already have a Bachelor’s degree. For those who want to earn an online degree, you can find the Computer Information Systems Graduate Certificate, Cybersecurity Graduate Certificate, and Cybersecurity Master of Science degrees. Missouri State University is a public school with a purpose to fully educate people with a focus on cultural competence, ethical leadership, and community engagement. It has four campuses, including one in China. With over 26,000 students in all four campuses, it is considered the second-largest university within the state of Missouri. Along with such, it has over 24,000 students at the Springfield location alone with over 1,500 international students at the Springfield campus. The university currently has over 90 programs for graduate degrees and over 85 undergraduate majors available. It also has over 300 student organizations, over 25 sororities/fraternities, and both students and faculty are known for volunteering their time. The curriculum for the undergraduate Computer Science Option and the graduate version is accredited by the CAC of ABET (Computing Accreditation Commission). It’s currently only one of five CS programs accredited by ABET in Missouri. ABET is a nonprofit accrediting agency for many programs, including engineering technology, computing, and applied/natural sciences. Accreditation means that the college or university has met the quality standards of that profession. Accrediting bodies do not accredit institutions, but rather the programs those institutions offer. While accreditation is voluntary, it shows that the university takes education seriously. 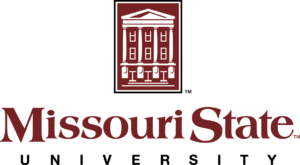 Students can apply to become a student of Missouri State University online and can choose the undergraduate or graduate application. To apply as a freshman, applicants must pay the application fee or consider fee-waiver options. They must also request the SAT/ACT test agency to forward scores to the school. It’s also important to request the official transcripts from any other colleges and high school. Applicants should also complete a FAFSA before applying. Once accepted, new students must pay a confirmation fee and register for SOAR. To apply for any of the Computer Science degrees, students must take any pre-requisite courses during the first semester or have already taken them from an accredited college. Students also need to include GRE scores. Accelerated Master’s applications must already have at least 60 undergraduate credit hours in the Computer Science (or equivalent) field, as well as a few other stipulations. For the 2018-2019 school year, those living in Missouri can expect to pay $9,918 a semester while out-of-state students can expect to pay $18,378. These numbers are estimates; the actual cost can vary depending on credit hours needed, lifestyle, academic programs, and much more. Missouri State University students receive over $150 million for financial aid each year, and 74 percent of all enrolled students receive one or more forms of aid each year. Because higher education can be very expensive, most schools offer a variety of scholarships and grants, as well as loans. Scholarships offered to Missouri State University students can include the Boeing Software Engineering Scholarship, Computer Science Dept. scholarships, Cerner Corporation scholarship, and many others. You can find information on the Missouri State University website on what scholarships and grants are available, along with how to apply for them. Loans are also available through the university, allowing students to borrow the money needed for education. Many of them allow students to wait to pay them back until finishing their education or a few semesters. Applicants can find information about the loans and their repayment schedules online, as well. Those who need financial aid for higher education must fill out the FAFSA (Free Application for Federal Student Aid). While students aren’t required to fill out a FAFSA, if the scholarship/grant applied for isn’t based on financial need, it is still helpful to fill one out each year to ensure that students know about all the financial assistance available. Students are not required to use all available financial assistance, such as loans with disagreeable terms. They can also apply for loans outside of Missouri State University-Springfield, though these may not have the best terms in accordance with education.